Now we depart from health in just the proportion to which we have allowed our alkalies to be dissipated by introduction of acid-forming food in too great amount… It may seem strange to say that all disease is the same thing, no matter what its myriad modes of expression, but it is verily so.—William Howard Hay, M.D. The countless names of illnesses do not really matter. What does matter is that they all come from the same root cause…too much tissue acid waste in the body!—Theodore A. Baroody, N.D., D.C., Ph.D.
Urine testing may indicate how well your body is excreting acids and assimilating minerals, especially calcium, magnesium, sodium and potassium. These minerals function as “buffers.” Buffers are substances that help maintain and balance the body against the introduction of too much acidity or too much alkalinity. Even with the proper amounts of buffers, acid or alkaline levels can become extreme. When the body ingests or produces too many of these acids or alkalis, it must excrete the excess. The urine is the perfect way for the body to remove any excess acids or alkaline substances that cannot be buffered. 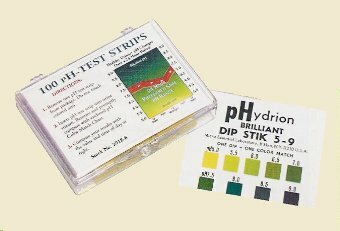 If the average urine pH is below 6.5 the body’s buffering system is overwhelmed, a state of “autotoxication” exists, and attention should be given to lowering acid levels. Your body is able to assimilate minerals and nutrients properly only when its pH is balanced. It is therefore possible for you to be taking healthy nutrients and yet be unable to absorb or use them. If you are not getting the results you expected from your nutritional or herbal program, look for an acid alkaline imbalance. Even the right herbal program may not work if your body’s pH is out of balance. Enzymes are essential: Take 1-2 capsules of either Food Enzymes or Proactazyme Plus with every meal. For even better and quicker results, also take 1-2 capsules of High Potency Protease and Nature’s Noni between meals on an empty stomach. Easily absorbable magnesium is needed: Take 2 Magnesium Complex with each meal which provides highly absorbable magnesium to help build necessary buffers. Magnesium is often lost in urine as a consequence of too much acid in the body. Alkaline minerals are essential: Take 1 ounce of either Ionic Minerals or Mineral Chi Tonic once daily. Alkalize with Green Food: Take 1 teaspoon of Liquid Chlorophyll in water up to eight times daily. Vitamin D3 helps hold calcium in the body. Taking NSP’s Vitamin D3 and Omega 3 will help the body buffer acids. Take 1-2 of each daily. Cleanse as needed: Take a psyllium hulls supplement such as Psyllium Hulls Combination or Psyllium Hulls Capsules at bedtime to maintain regular bowel movements. Use CleanStart or Chinese Tiao He Cleanse twice a year for liver, bowel and kidney detoxification. Strengthen urinary and lymphatic systems’ ability to excrete acids: Take Kidney Drainage and Lymphatic Drainage daily in water.Quality is Critical: I recommend only Nature’s Sunshine Products. NSP has formulated premium-quality products for 40 years. Our experience has been that substituting lesser quality products will compromise pH balancing results! The reason acidosis is more common in our society is mostly due to the typical American diet, which is far too high in acid-producing animal products like meat, eggs and dairy, and far too low in alkaline-producing foods like fresh vegetables. Additionally, we eat acid-producing processed foods like white flour and sugar and drink acid-producing beverages like coffee and soft drinks. We use too many drugs, which are acid-forming; and we use artificial chemical sweetners like NutraSweet, Equal, or aspartame, which are extremely acid-forming. One of the best things we can do to correct an overly-acid body is to clean up the diet and lifestyle. Refer to the recommended reading for specific help with diet and lifestyle. Enzymes are essential: Take 1-2 capsules of Food Enzymes or Proactazyme Plus with every meal. Also take 1-2 capsules of High Potency Protease and Nature’s Noni between meals on an empty stomach. Support urinary and lymphatic systems’ ability to excrete toxins: Take Kidney Drainage and Lymphatic Drainage in water according to directions. Then use Lymphomax and Urinary Maintenance to maintain. Correct calcium is needed: Use NSP’s Liquid Calcium. Flax Seed Oil: Use 1 capsules of Flax Seed Oil 3 times a day or 2 tablespoons of Liquid Flax Seed Oil daily. Note that a food’s acid or alkaline-forming tendency in the body has nothing to do with the actual pH of the food itself. For example, lemons are very acidic, however the end-products they produce after digestion and assimilation are very alkaline so lemons are alkaline-forming in the body. Likewise, meat will test alkaline before digestion but it leaves very acidic residue in the body so, like nearly all animal products, meat is very acid-forming.